The Tibetan KuNye massage creates harmony between the body and mind and promotes health and well-being by stimulating the energy points and channels within our body using the hands and the Zathi-Dukpa herbal bags. It can be used both for relaxing / preventive and for therapeutic purposes. This course explains in a graphical and simple manner the implementation of the Tibetan KuNye massage and all aspects associated with it: diet, lifestyle, health and disease, the vital energy force, meditation, etc. Learn a new massage technique in your own rhythm anywhere and anytime! Scroll down to read our student testimonials. THEORY: Before starting the hands-on practice of the massage, it is important that you are familiar with the background of Traditional Tibetan Medicine, as well as comprehend its particular perspective on the human body and mind; the concept of health and sickness; the various diagnosis methods (tongue, pulse, interrogation, urine, etc. ); the impact of external factors and lifestyles; and the different treatment methods as well as massage strokes applied in the KuNye massage. Therefore, the first part of the course covers the theoretic aspects that give you a rich foundation for practicing the Tibetan KuNye Massage. PRACTICE: In the second part of the course you get to practice the KuNye massage technique. In this section you will find several videos showing the practice of the massage, step-by-step. 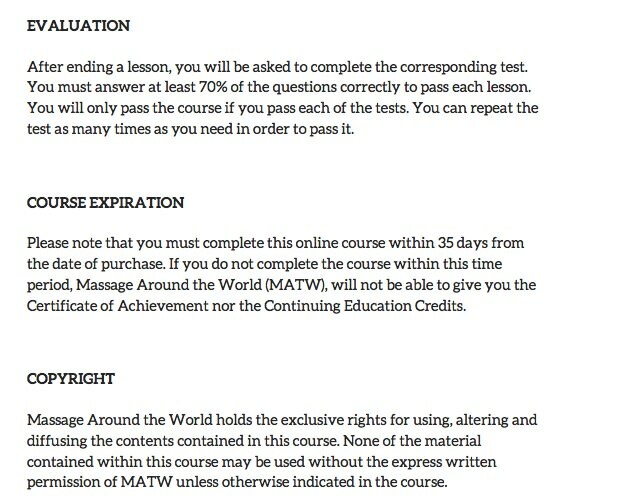 Every step includes an explicatory text (describing the massage technique, the application manner, the benefits and effects, etc. ), an illustration with the direction of the massage stroke, and a videoclip where you can see exactly how the stroke is performed in the KuNye massage. VIDEO LECTURES & INTERVIEWS: In addition, following an Oriental proverb that says “the theory without practice is inefficient, and the practice without theory is dangerous”, this course is full of videos with interviews, master´s classes given by famous teachers, pictures, illustrations and other the material necessary to facilitating the understanding of the Tibetan KuNye Massage as well as Tibetan Medicine. 1. Understand the vinculation between Tibetan medicine and Traditional Chinese medicine, Ayurveda from India, and Buddhism. 2. Understand the Three Trees of Tibetan Medicine: etiology, diagnosis and treatments and how these are linked to the KuNye massage. 3. Perceive the human being from a holistic point of view (body, mind and spirit) and to understand not only the human anatomy, but also its energy system. 4. Describe the indications and counter-indications of the KuNye massage. 5. Learn how to make the Zathi-Dukpa herbal bags. 6. Perform the complete KuNye massage following the exact same steps as the ancient Tibetan doctors centuries back. The main objective of this course is to equip you with the skills to perform the Tibetan KuNye massage in a professional manner and to have an insight into Tibetan Medicine. “I was pleasantly surprised to find this Tibetan KuNye massage course far exceeded my expectations of what an online class would entail. In addition to the well laid out format for “follow along ” hands on massage practice; Massage Around the World shared most respectfully a wonderful window into the Tibetan culture and medical healing traditions. I feel confident in the new massage techniques I have learned and excited to share new ways to maintain health and well-being with my clients and friends.” – Chameil Haney, NYS LMT. “The course on KuNye Massage from Massage around the World was excellent! The first half of the course teaches some underpinnings of Tibetan medicine, which provide an excellent frame of reference for the massage. 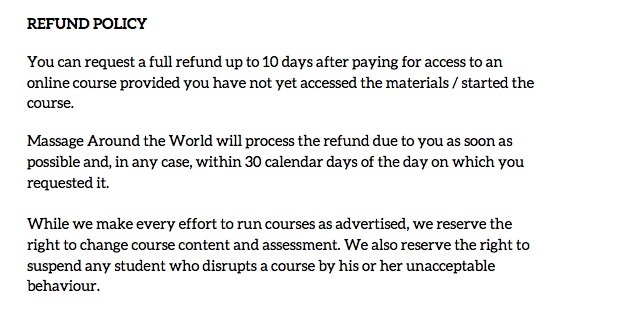 The second half of the course (the technique videos) are well done, in clear and replicable steps. The corner inset illustrations and handouts are useful tools. I will be adding this modality to my practice. Well done!” – Brenda Baker, MA, BCBA, LMT, BCTMB. “I really enjoyed the Tibetan KuNye massage course, it was very interesting and I learned a lot about its background. When I needed support throughout the course I got feedback fast, the supervisors are very kind and helpful. The step by step instructions for the massage itself are very clear and easy to follow. Thanks for this experience.” – Beatrice Kiessling, meditation instructor, massage and transpersonal therapist. Pema Dorjee: Tibetan Doctor, has served as Chief Medical Officer at various branch clinics of the Men-Tsee-Khang in India and has traveled around the world giving consultations and speeches promoting Tibetan medicine over the past decades. Namgyal Qusar: Tibetan Doctor with vast experience as a physician and teacher. He served as a Deputy Director of the Men Tsee Khang Research and Development department, and today runs his own healing center and attends congresses and fairs. Tsultrim Kalsang: Tibetan Doctor specialized in Mild Therapies, Tibetan KuNye massage and medicinal plants. He directs the Materia Medica Department at the Men-Tsee-Khang, and recently founded the Mild Therapy Center. To learn more about our collaborators click here.